Hillary Clinton is right, mostly. In an interview with The Guardian last week, the former next president of the United States said that in order to stop right-wing populism, Europe "needs to get a handle on migration because that is what lit the flame." Clinton continued: "I admire the very generous and compassionate approaches that were taken particularly by leaders like Angela Merkel, but I think it is fair to say Europe has done its part, and must send a very clear message -- 'We are not going to be able to continue provide refuge and support' -- because if we don't deal with the migration issue it will continue to roil the body politic." If she stopped there, I wouldn't have added the qualifier "mostly." But Clinton couldn't help herself. She had to also argue that people who are discomfited by immigration are little more than mindless authoritarians with "a psychological as much as political yearning to be told what to do, and where to go, and how to live and have their press basically stifled and so be given one version of reality." For many on the left, this was simply an argument for concession. Eskinder Negash, the head of the U.S. Committee for Refugees and Immigrants, told The New York Times he was shocked by her comments. "If she's simply saying you need to cut down on refugees coming to Europe to ask for asylum because they have a well-founded fear of persecution, just to appease some right-wing political leaders, it's just not the right thing to do," Negash said. Former British Prime Minister Tony Blair, who was interviewed for the same series in which Clinton's interview appeared, had a better take. "You've got to deal with the legitimate grievances and answer them, which is why today in Europe you cannot possibly stand for election unless you've got a strong position on immigration because people are worried about it." If you don't ... you leave a large space into which the populists can march." This has been the argument for reasonable immigration restrictions for decades. The basic position of National Review, where I am a senior editor, has been that if responsible politicians do not address legitimate immigration concerns, it will create a political vacuum for unreasonable politicians to exploit. If you don't like how President Trump talks about immigration, you can appreciate the point. But even better examples can be found across Europe and Scandinavia. James Kirchick, in his book "The End of Europe," notes that, across the Continent, "once-marginal, anti-systemic parties increase their popularity at the expense of mainstream ones almost entirely because of their absolutist stance against immigration." The Sweden Democrats, a far-right party in Sweden that grew out of white nationalism and, some claim, neo-Nazi ideology, won a handful of seats in Parliament for the first time in 2010, solely because it was the only party to run on a platform of cutting immigration. The government, the media and the political establishment in Sweden waged an all-out campaign to demonize the party -- and the policy. "Stigmatizing the Sweden Democrats in the hope that no self-respecting Swede would contemplate voting for them, however, had the opposite of its intended effect," Kirchick writes. Five years later, during the migrant crisis of 2015, "the Sweden Democrats had become the most popular party in the country." Were all of the Swedes who switched parties bigots all along? Unlikely. (Ditto Americans who voted for both Barack Obama and Trump.) But by insisting that voters should not believe their lying eyes when it comes to the problems associated with immigration -- some overblown, some real -- Swedish elites gave voters no place else to go. And now, irresponsible politicians have so much more room to maneuver. 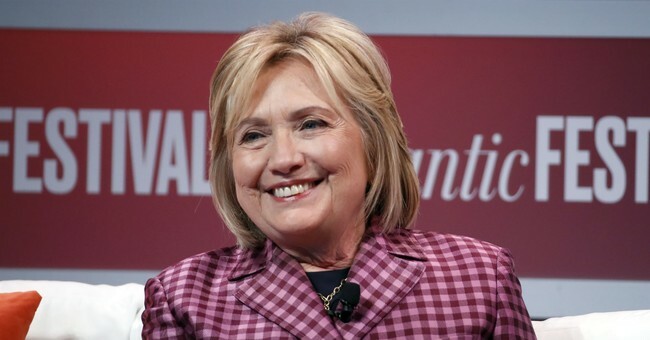 Clinton's problem is that she understands the need to triangulate the way her husband did, by taking culturally fraught political issues and framing them in ways that win over voters. But Clinton, like so many in her party and in the press, is captured by a narrative that insists anyone who disagrees with her (or supports Trump) has no moral legitimacy. She wants it both ways: "They" are evil, but we should appease them anyway. That isn't appealing to anyone.